… Marcia Brevard Wynn, PhD, Executive Director. Support Pasco Kids First during your every day shopping! Pasco Kids First is registered with Amazon Smile at https://smile.amazon.com/ch/59-3010809 and eBay Giving Works at http://givingworks.ebay.com/charity-auctions/charity/pasco-kids-first-inc/77304/ . Choose Pasco Kids First as your selected charity to donate. Ask us about gifts that last longer than your lifetime by adding Pasco Kids First as a beneficiary in your will. 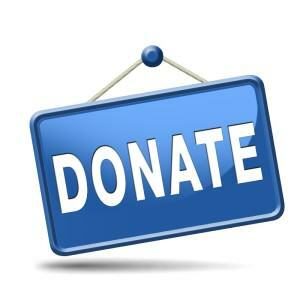 Click on Your Donation Can Make a Difference to gain more information on how your donation can help. Join the Drive Against CHILD ABUSE. Stop Child Abuse tag costl $25, all of which goes to child abuse prevention and intervention programs in Florida including Pasco Kids First. Order this tag when time to renew! It is easy to purchase at your Tax Collectors office or on-line: EXTagFL.com. Drivers can also make a voluntary contribution when renewing their registration by checking the Prevent Child Abuse box. Pasco Kids First is a professional member of the Association for Fundraising Professionals, AFP. The association fosters development and growth of fundraising professionals and promotes high ethical standards in the fundraising profession. Pasco Kids First is proud to provide our donors with the Code of Ethical Principals and Standards and Donor Bill of Rights. A COPY OF THE OFFICIAL REGISTRATION AND FINANCIAL INFORMATION MAY BE OBTAINED FROM THE DIVISION OF CONSUMER SERVICES BY CALLING TOLL-FREE 800-435-7352 WITHIN THE STATE OR VISITING THE WEBSITE WWW.800HELPFLA.COM. REGISTRATION DOES NOT IMPLY ENDORSEMENT, APPROVAL, OR RECOMMENDATION BY THE STATE. Fast and Secure Online Donation Process by eTapestry, please complete the form below. Use Giving Assistant to save money and support Pasco Kids First Inc.